Take advantage of both an analog and digital meter combined in one. The combo series features the same precision analog movement you expect from Hoyt. 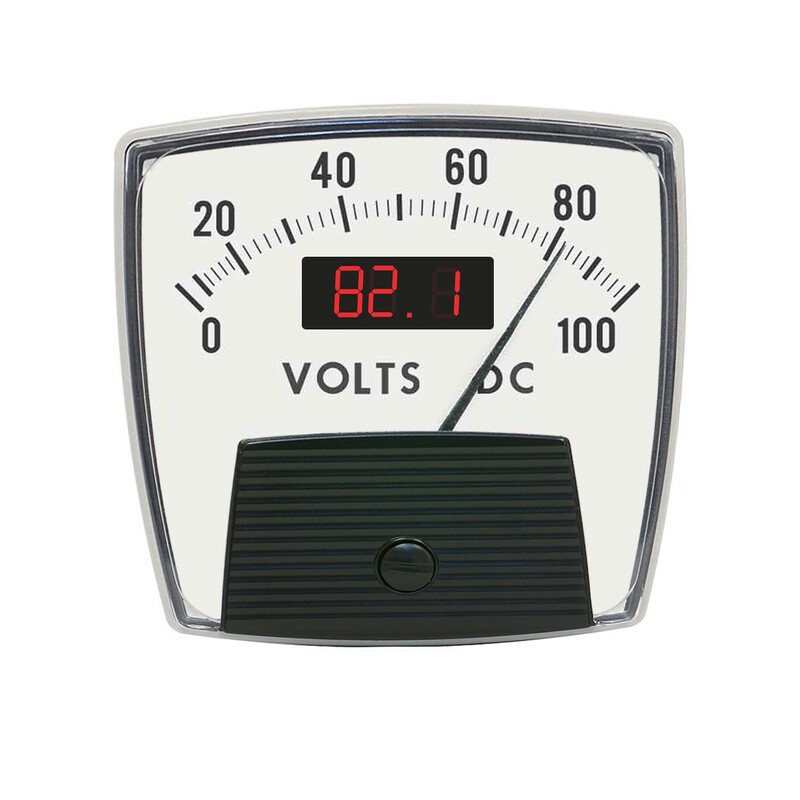 3.5" Rectangular; 3.5 digit panel meter; Bright red digital featuring 0.37" high digits; Combo meters are self-powered by signal being measured and only require a positive and negative lead for hookup; Fast, easy, two-wire connection allows the Combo Series to upgrade virtually any analog meter application. Bright red digital featuring 0.37" high digits. Combo meters are self-powered by signal being measured and only require a positive and negative lead for hookup. Fast, easy, two-wire connection allows the Combo Series to upgrade virtually any analog meter application.